Before any water leaks could cause rot or any other expensive damage, it is quite necessary to identify and stop it. Although the repair sometimes merely involves simple tightening but finding the issue can be complicated. Water dripping from bathroom sink has become a common problem for house owners and can damage the area underneath as well as the things stores under it. If your sink has a leakage in it, then it means a plumbing service is required to fix it, so you can get your drain under bathroom sink repaired. These leaks are usually at the back or under the sink and can go unnoticed for a longer time. But the damage caused by the supply leaks or drainage issues of the sink including running down of water into the floor, dampness inside bath vanity and the rotting of sink base needs to get repaired without delaying. Such problems like water stains or foul smell coming from the cabinet are the signs of trouble for you. If the drain under your bathroom sink have some problem, before trying to fix it yourself or asking for someone’s help the major step to repair the problem would be to identify it first. When it comes to leakage of drain under your sink, the issue might involve either the tailpiece or the drain trap (P-trap). In case of loose connection or defective pipes, supply water in the pipes comes under pressure and tends to leak or spray from it. Similarly, blockage in drainpipes or loose connection could result in P-trap’s leakage as well. Also, sometimes the shut-off valves with compression fitting are not as tight as they are supposed to be which becomes a common source of drips. In order to fix the drainage problem of your bathroom sink, the best way is to tighten the valve. Holding the valve with one wrench while turning the compression nut with another could help you in solving the issue. Moreover, some leaks like those from faucet connections are usually difficult to tighten because of their location in cramped spaces behind the sink. For this the appropriate way to fix them is with adjustable or locking pliers. In case it’s hard to turn the nuts as they might be corroded, the time to replace your trap has arrived. You want a peaceful life, but the daily arising problems like these could lead to restlessness. So, it’s always best to contact the people with expertise who could fix your problem and leave with a quality work. To make your life easier and problem free, reach out to the experts and allow them to fix your issues. Regardless of your capability or efficiency in many matters, there are some complications that are far beyond your comprehension. 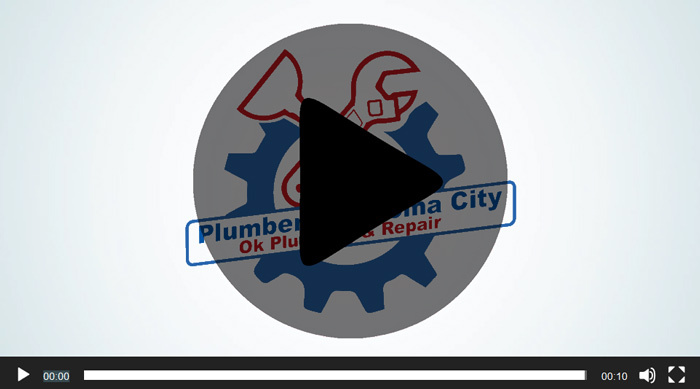 Plumber Oklahoma City, Ok Plumbing & Repair try to be the best option available for you. They can repair any type of issue or problem that you might face. In case you are looking for someone for repairing drain under your bathroom sink then Ok Plumbing & Repair is the best option waiting for you.